So this super long overdue na and I’m so sorry for that, I’m so busy to the highest level sa work and sa bahay alam nyo naman full time mom and wife ako and at the same time I have a full-time job. So imagine kung gano ako ka busy. Hehe. Anyway, after we heard mass at Padre Pio we had our late lunch at Serye outside Eastwood Mall. This restaurant offers dishes that are basically Filipino and since it’s already past 2 in the afternoon there were few customers inside the store. The interiors was made to be cozy for family gatherings, the servers were very attentive and courteous. So let’s go with the food that we ordered. My husband ordered for Kare-Kare which according to the waiter one of their best sellers. 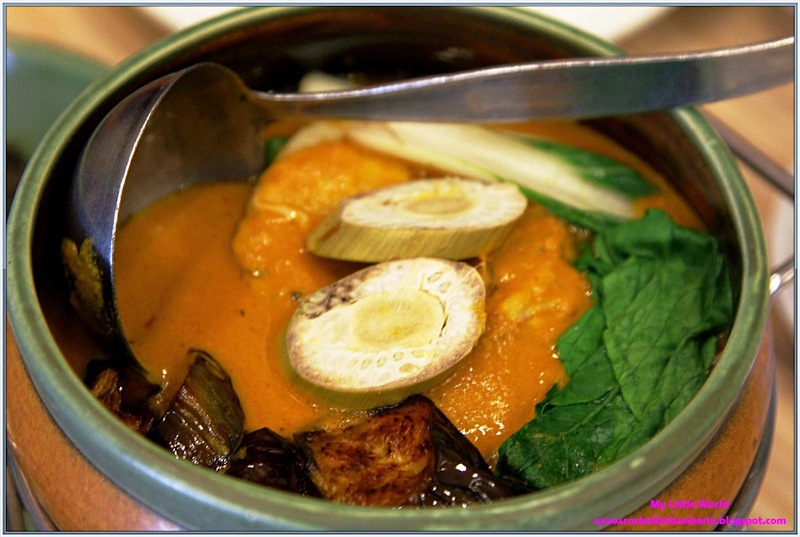 Kare-Kare is the classic stew of oxtail and tripe in a rich peanut annatto broth which serve with shrimp paste. The sauce has a flavorful taste of peanut that I was looking for in a kare-kare sauce, kaya yun ang unang naubos sa amin. Hehe. Then, he also ordered for Barbecue Duo 1 which includes 2 pieces of chicken barbecue and 1 stick of pork barbecue served with peanut sauce, java rice and atsara. 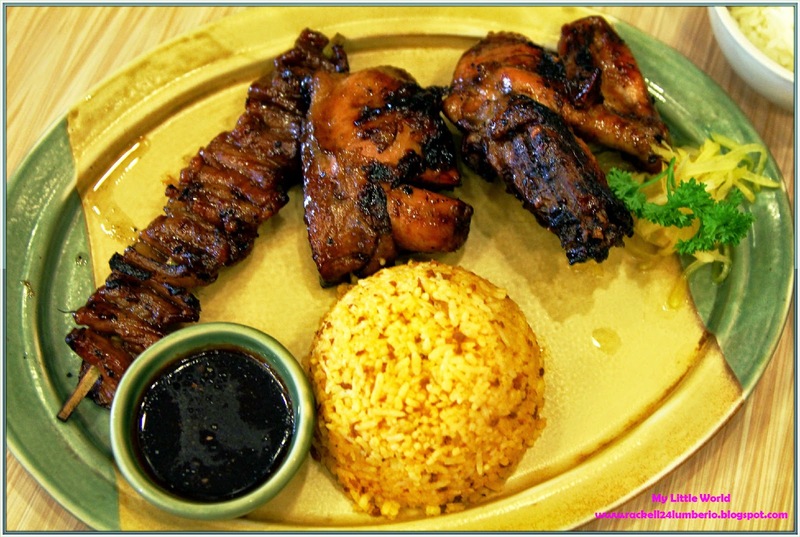 The chicken barbecue is so tender and juicy, and it’s just a perfect combination with their peanut sauce. This plate is enough for us knowing we’re group of four ha. 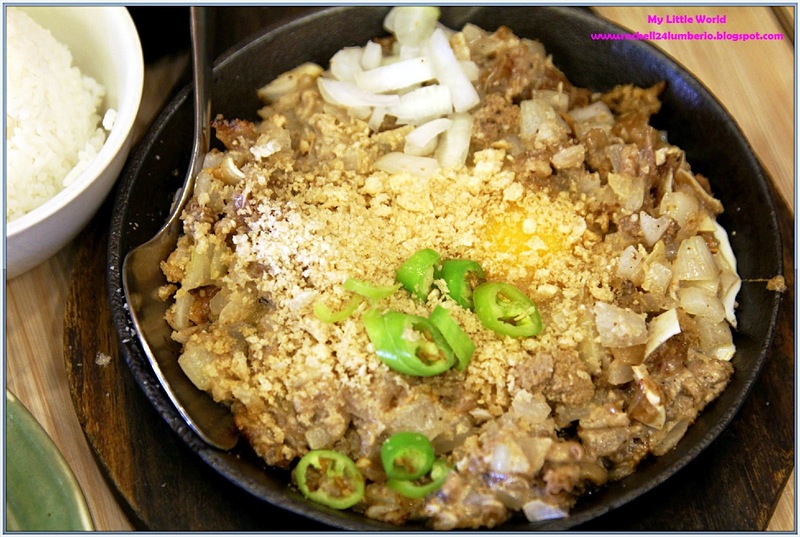 Then we got Pork Sisig with Egg to share. Part crispy, part chewy and all around delicious, my husband likes this and for him it was also a bit salty. It was served on a circular sizzling plate topped with onions and crunchy chicharon bits with a side of chili sauce, a perfect match with the steamed rice. Overall, the sisig satisfied my cravings. 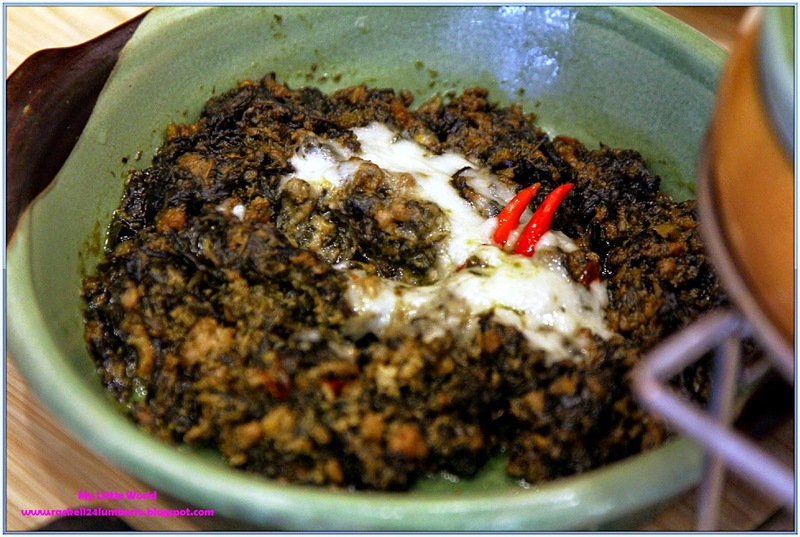 My husband ordered for Laing, well, I don’t eat laing di kasi namin nakasanayan kainin to eh at dahil di nagluluto tatay ko nito before but according to my husband and MIL, super sarap daw ng laing. 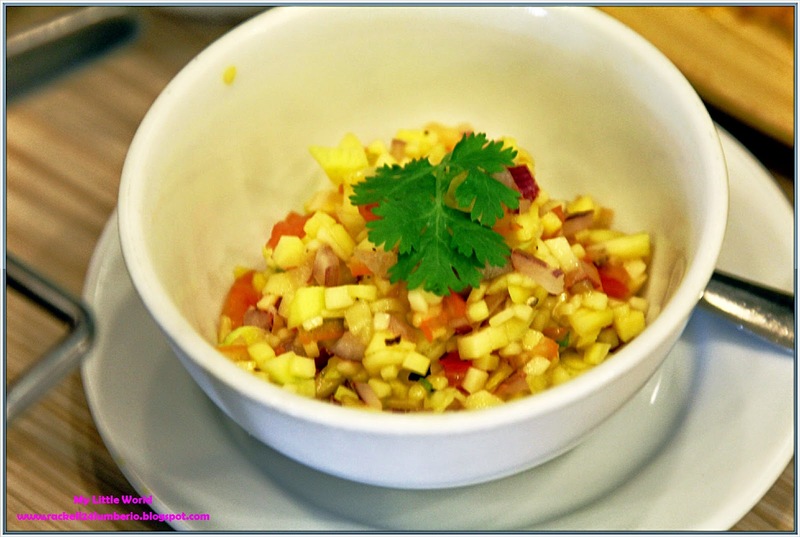 Last but not the least, we got the traditional side dish - Ensaladang Manga Hilaw at Kamatis. No need to explain the taste kasi it was so good. 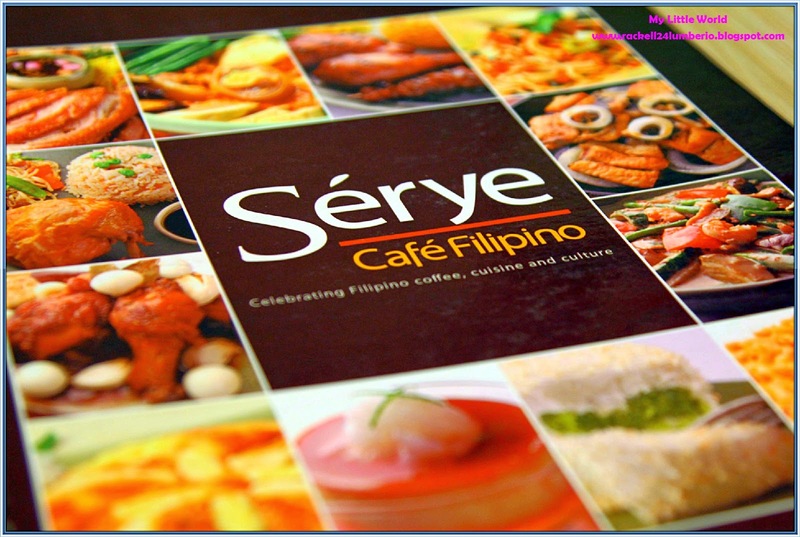 Overall, Serye is a wonderful place to enjoy food with family, the prices might not be really all that affordable but with the food and service, it is enough to keep one satisfied. DreamHost is one of the best hosting company for any hosting plans you need.